What Was The First "Adult" Book You Read? Nowadays, the definition of books for kids and grownups is pretty vague. Lots of people over 30 read YA fiction for pleasure, while plenty of adult writers write novels aimed at younger readers. In the meantime, the "intermediate" stage — a massive category when I worked in book retail a few years ago, and a huge chunk of the books I read between second and fifth grade — seems to have disappeared. But most of us — and especially those of us who grew up in the '70s, '80s, and '90s — remember the first grownup novel we read. For me, it was probably Stephen King's Cujo, which my mom checked out of the library for a beach trip in the early '80s. I remember picking that up and skimming though it when no one was around; the part where the little kid eats the Red Razberry Zingers and vomits what the parents think is blood really freaked me out. I'm still not sure if I read that one from cover to cover; I've probably gotten parts of the book it mixed up with the movie adaptation, which takes some liberties with the story. 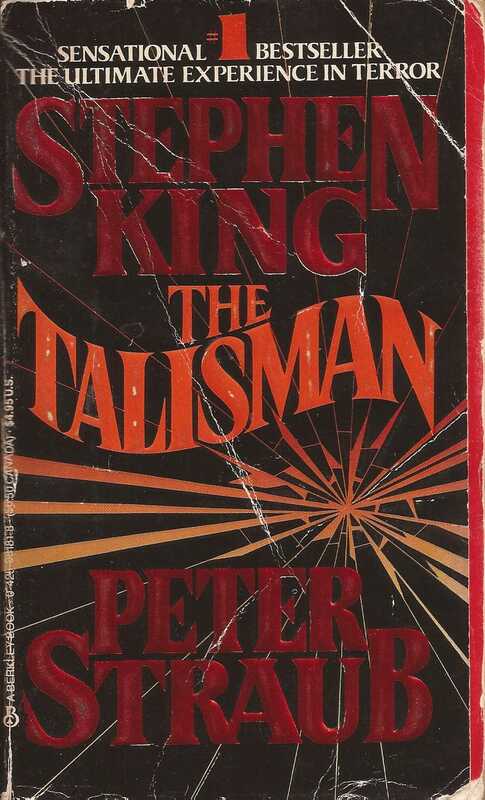 But I do remember that a couple of years later I read King and Peter Straub's The Talisman from beginning to end. It was a humongous novel, over 700 pages long in paperback, and it probably took me the better part of a month to get through, since it was the longest thing I'd read up to that point. But I still remember it vividly, and it remains one of my favorite fantasy novels to this date. So what was your first "novel for grownups"?